Despite the growing popularity of social media, e-mail is still the ‘killer app’ for judicial candidates. If you are planning on skipping email during your campaign, you will miss out on a great way to keep contact with voters, build your fundraising base and enhance your GOTV push. If you haven’t started building your campaign email list, start building your list now! Don’t wait or you’ll kick yourself before Election Day when you realize how much voter communication you have missed out on. 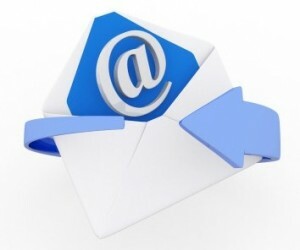 There are a number of paid email list management services on the market. Some services are designed specifically for political candidates, often coupled with other services. You cannot create followup autoresponders with the free version. A good autoresponder message sequence is essential to any good email campaign. Without it, the only messages your subscribers will get will be the ones you send manually. The deliverability (actual messages getting into subscribers inboxes) may be lower than with other services. This is explained in more detail below. MailChimp does not currently provide its subscribers with phone support service. It may be difficult to cancel the service. Surprisingly, you cannot cancel your account online or via email. You must actually call them to cancel. Otherwise, you will continue to be billed after the campaign. Aweber is the email service we use. After working with all three services over the years, we have come to the conclusion that AWeber is a better option for many campaigns and businesses looking to build an email presence. 2) Message deliverablity. AWeber tends to have a better track record for successfully delivering messages into subscriber’s inbox, without getting stuck in spam filters. This is because AWeber DOES NOT allow users to add people to my mailing list without sending a confirmation email that requires subscribers to click a link to confirm that they do, indeed, wish to be added to the list. MailChimp and Constant Contact allow you add names and email addresses to my mailing list without sending confirmation messages. This is probably a reason why AWeber has a better track record of avoiding spam filters. Because every person on an AWeber mailing list has “confirmed” themselves, there is a much lower chance of subscribers clicking the “spam” button on messages they receive through the service. 3) Advanced auto-responder configuration. Both Aweber and Constant Contact have full autoresponder functionality that automatically sends new subscribers a series of prewritten emails over a certain period of time. While autoresponder messages require some advanced planning, they are powerful tools to help communication and provide information to your audience. MailChimp has autoresponder functionality built into their service, but it is only for paid accounts. Many campaigns use MailChimp and Constant Contact successfully and are happy with their service. Once you commit to an email marketing service provider, switching over to another one is not a simple task. You can lose many subscribers in the process. For example, if you import a large list to Aweber, each person will need to re-confirm their subscriber status in order to receive your future messages. If you do not yet have a mailing list for your judicial campaign, we recommend that you start one early.